Order is received, either in person, on the phone, via email, etc. Customer is notified that the order has been received. Order is sent to the warehouse. A paper order might be taken to the warehouse as part of a batch, or it is sent directly from an invoicing or sales order management application. Order is picked: a worker goes into the warehouse, finds the items in the order, and picks them off the shelf. Order is packed to prepare for shipping. Customer is notified that the order is on its way. One of the ways companies judge the efficiency of their order fulfillment processes is by looking at the Perfect Order Metric. A perfect order is one that is on time, complete, and undamaged, along with the correct paperwork to accompany it. This metric is similar to fill rate, which we’ve discussed on the blog before. Although companies all say they strive for perfect orders every time, it’s a difficult thing to achieve. Here are some insights and tips to help your business fulfill orders more quickly, accurately and efficiently. Demand Planning: Demand planning involves knowing in advance what demand for a product will be, as well as demand shaping, or a company’s efforts to try to generate demand, like marketing and promotions. Inventory Management: Order fulfillment is all about meeting customer expectations, and it’s hard to do that if you are out of stock on the items customers want. Knowing what’s in stock and being able to provide visibility on stock levels as the order is placed prevents customers from being disappointed with backorders and delays. Supply Chain Execution: When items are low or out of stock, how quickly can you get them back in stock? How quickly can your manufacturers produce more product? From there, how long will it take to get to your warehouses? These are supply chain execution questions that can also impact order fulfillment. ‍Logistics Planning: Once the items are ready to ship, how are you going to get them to the customer? How long will it take? Will the items be handled carefully so they arrive in one piece? When it comes to speeding up order fulfillment, there are many steps you can take to make a big impact. Start by looking at some of the “quick wins” that don’t require a massive investment of dollars, but will make a quick difference, such as classifying your inventory and ensuring that it is stored as logically as possible. The next step is to make sure that you are making the most of the systems you already have in place. Many companies have the pieces in place that are needed to improve their order fulfillment processes, but are unable to get the most from these systems. Finally, you can also look at making new investments in automation to speed up your order handling times. 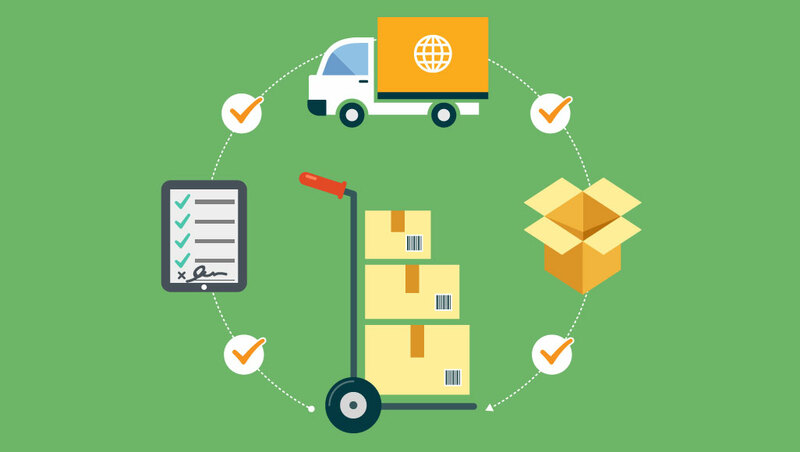 Integrate systems for more visibility into all aspects of order fulfillment: In order to quickly fulfill an order, you need visibility into several areas—demand forecasting, sales, inventory, and logistics just to name a few. At a minimum, this requires some level of integration between the sales order management system where the order is placed, and the ERP system that maintains financial data, as well as the inventory and logistics systems that that handle the processes for picking, packing and shipping. Each of these methods has a dual benefit. Reclassifying inventory from fastest moving to slowest will not only help save time in the order fulfillment process, it will also save money in terms of labor costs in the warehouse. Systems integration will help to improve the order fulfillment process but also provide better reporting and analytics that can aid decision-making and profitability. And automating processes speeds order fulfillment but also provides more accurate data for future orders. Ultimately, one of the best ways to speed up the order fulfillment process is to ensure that no time is lost between when a customer places an order and shipment begins. Today, wholesale distributors are streamlining order fulfillment by giving their customers and sales reps ERP-integrated B2B eCommerce technology to capture orders for fulfillment as quickly as possible.